Colorado Division of Conservation – See minutes from the most recent Conservation Easement Oversight Commission hearing, apply online for a tax credit certificate, view the list of Certified Holders, read conservation easement rules and regulations, and learn the latest on the tax credit cap. Colorado Department of Revenue – View Department of Revenue Guidelines, download conservation easement tax forms, and read the FYI 39, a fact sheet on Colorado conservation easement income tax credits. Conservation Easement Guide – In 2012 the IRS published an extensive set of guidelines on many aspects of conservation easement tax issues. This document has many links to rules and regulations, IRS position statements and more. Colorado Coalition of Land Trusts – CCLT is a statewide organization with a mission of supporting land conservation excellence in Colorado through leadership, advocacy, education and outreach. 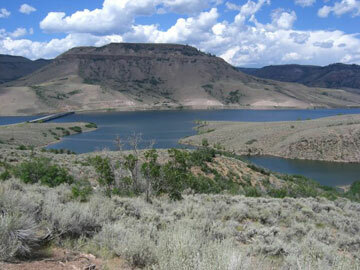 Conserved Colorado – Formerly Bountiful Conservation, this site connects you to landowners from conserved lands who sell products and services to the public. Find a place to go fly fishing, buy some grass fed beef or your favorite bottle of wine. Your purchases help support those landowners who have made the commitment to keep their land conserved for future generations of Coloradans. Land Trust Alliance – The Land Trust Alliance represents over 1,500 land trusts across America. For more educational materials about land conservation or to learn about the national standards and practices for good land conservation, please contact the Land Trust Alliance.